In this quick tutorial we are going to check out how to get started making an awesome smooth terrain world with our terrain generator. The first step is to open Roblox Studio and start a new place. 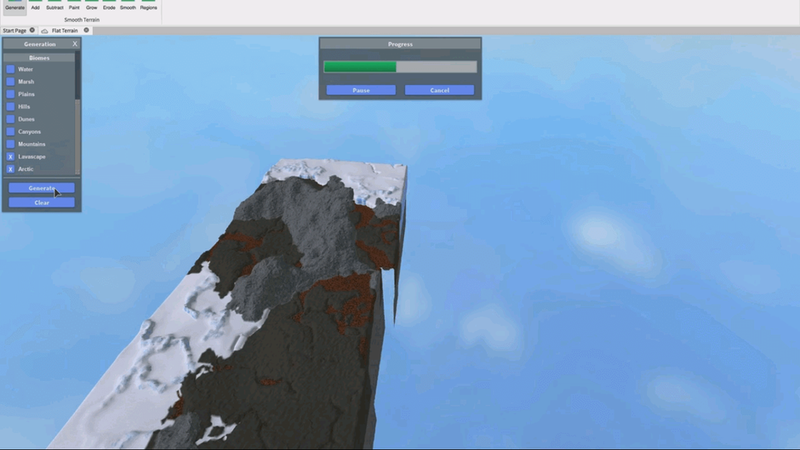 We recommend using the terrain template since that's what we'll be working with. You new place will open up right here and you can get started. Up on the top of the screen you'll see the terrain tab. Click that to bring up the terrain tools. The first on the left is Generate. Generate brings up a box with a lot of different options. Here you can select the size of your map, how big you want each section to be and what types of terrain you want, sorted into Biomes. The different Biomes allow you to decide what kind of climate your roblox world will be. From water to grasslands, to deserts, to arctic tundra, you can mix and match whichever biomes you like. To make a desert scene with some dunes and canyons we just select those biomes, pick the size we want and then hit Generate. Then you can watch your world get built right before your very eyes. Don't like it? Just hit Clear and try it again. After your land is generated you can use other terrain tools to customize it more. You can grow, erode land, smooth out bumps and even paint new terrain types over the existing ones. Now that you've got a starting place you can add whatever you want to the world or hit Publish and invite your friends over to see your creation. 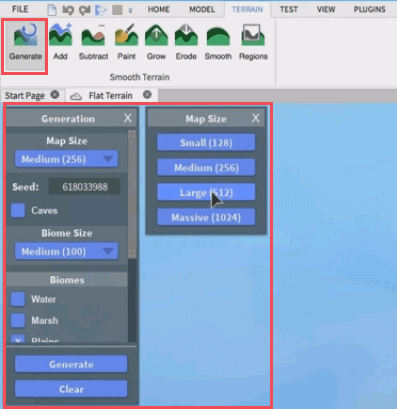 There you go!This is how to create a smooth terrain showcase in roblox. How To Add Music To Your ROBLOX Game!